Just bring your clothes and toothbrush and come enjoy this fully furnished 8th floor condo in one of the most popular secured buildings on the most famous beach. This is your home away from home! 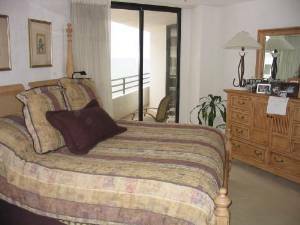 Amenities include underground parking, 2 pools (one indoors and one outdoors), game room, work-out room, and jacuzzi area. It is conveniently located across from grocery and drug stores. There are two patio's to enjoy the ocean and views of the river. Close to Orlando where DisneyWorld, SeaWorld, Universal Studios and other theme parks are located. St Augustine is north up the coast less than an hour and The Space Coast area is south within 90 minutes. There are numerous local activities to enjoy right here in Daytona like the NASCAR Museum and more. 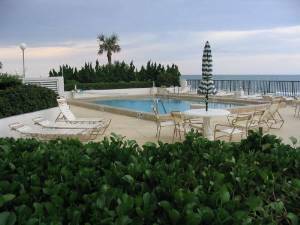 Make yourself comfortable around the pool and don't forget to take your stroll on the beach and feel the sand between your toes. 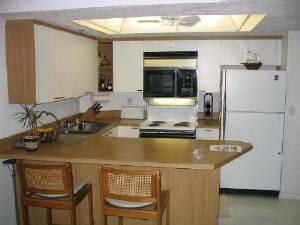 Full kitchen, all appliances. Fully furnished any chef could enjoy. 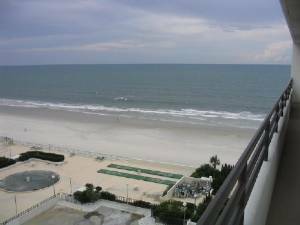 Enjoy watching the beach and the sounds of the waves. Large Master with master bath. You have 2 patios to enjoy the ocean, river and views of the city. 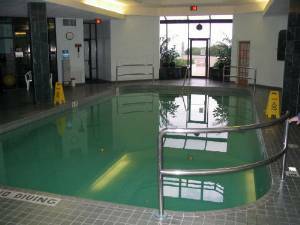 This area includes the heated pool, jacuzzi room, workout room, billiards/ game room. Long Term Rental may qualify for special discounts. 1 month minimum rental charge. Deposit: Minimum $500 to $1000.00 deposit at time of booking with the remainder of the rental term paid 30 days prior to arrival.